When folded in a certain pattern, the engraving printed on the U.S. $20 bill forms an illusion that is eerily similar to the images of the World Trade Center after the attack on Sept. 11, 2001. The image gives the impression of both towers after the fateful attack, with smoke billowing from them. This trick is simple to perform and often generates both curiosity and awe among observers. 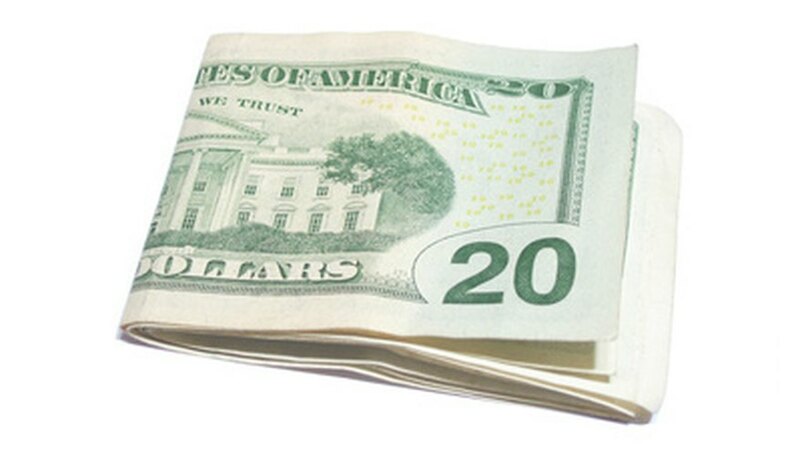 Fold a $20 bill in half along its length with Andrew Jackson's portrait inside the fold. Hold the bill so the opening of the fold faces upward and the words "United States of America" face away from you. Fold one end of the bill upward at a 45 degree angle starting at the center of the bill. Fold the other end up in a similar manner so that the edges of the two folds are side by side. Look in the center of the folded bill just above the point formed by the 45 degree folds. The image will appear there. For an added illusion, turn the bill over and look in the center of the bill for an impression of the pentagon building after the 911 attack.